This post is to share 5 blogs that encourage me in Christian life and faith. I recommend each of them. There are others, but these I have chosen as a sample. There's a variety here, so take your pick or look at all of them. The Penelopepiscopal blog is mostly her own photos, often linked to a Bible verse or a prayer. Often it is just one photo plus a few lines of text, so it doesn't take long to visit. I do so almost every day and it often lightens up my day in some way. If you don't want to read long blog posts but like pictures, take a look. Rosemary lives in the Cotswolds in the UK. As someone interested in art, architecture, design, travel and gardening, among other things, her Where Five Valleys Meet blog has consistently superb photographs. Unlike the other blogs I'm linking to today it is not a specifically Christian blog, but since Christianity is about all of life and not only the spiritual/religious aspects of life, I recommend this blog. Rosemary's blog is mostly beautiful images - her own work. I feel gratitude to God and to Rosemary every time I visit. It often feels like taking a short holiday. See for yourself. Rosalind Hughes' blog 'Over the Water' is well worth a visit. She has some beautiful poems as well as sermons and other reflections. Here is one of her sermons, Year C Proper 14: faith, hope, and a promise. Don't be put off by the 1st part of the title if 'Year C Proper 14' means nothing to you. And don't be put off by the fact that this post is the text of a sermon. It's a post well worth reading about coping with not seeing the fulfilment of a promise but still having hope that God's kingdom of justice and peace will come, and having faith that the promise is for all (not just us or me). "The choice that our faith offers us is whether to continue in hope, knowing that God is good and will come through, whether in our lifetime or another; or whether we turn cynical, and fall asleep, or turn away, or try ourselves to play God." Malcolm Guite's blog is one I read regularly. He is one of my favourite Christian poets because of the depth of theological and biblical allusions they encompass in very few well chosen words. The poems are generally short but repay pondering at leisure. As a sample, here is Malcolm Guite's sonnet for the Transfiguration of Jesus. You can listen to the poet reading it or read the words or do both. Thanks to the ProBlogger Challenge I have recently discovered Roger Carr's excellent blog with resources for leaders of small groups, such as Life Groups, Fellowship Groups, Cell Groups, Bible Study or Prayer Groups. If you are a leader of a small group like this or thinking of starting one, you could find some helps here at Small Group International. That's it - just 5 recommendations today. 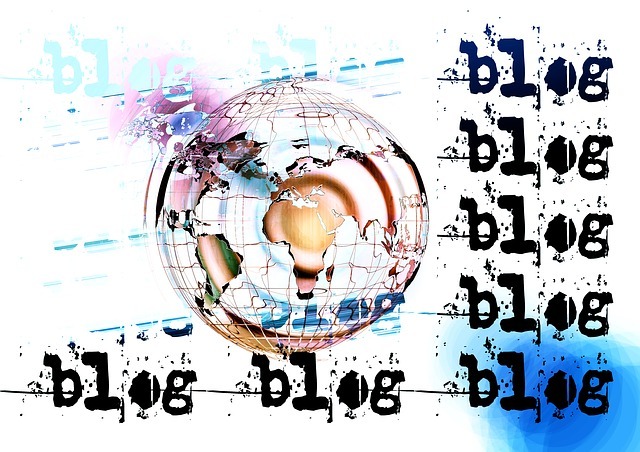 What blogs do you recommend to encourage Christian life and faith? What blogs have helped you? Do let me know in the comments. PS. I've created this blog in response to the 7th challenge of the 7 Days to get your Blogging Groove Back challenge. Phew - I've managed all 7, each within the deadlines. I'm grateful that this challenge has helped me get going again with my Seeker blog. I love finding new blogs. It's easy to get stuck in a rut following certain blogs and not exploring others. This 7 day challenge has encouraged me to get out of usual and make new discoveries. Thank you for commenting. Thank you very much Nancy - I really appreciated your extremely kind comment and link. Your are welcome Rosemary. I find your blog well worth reading.